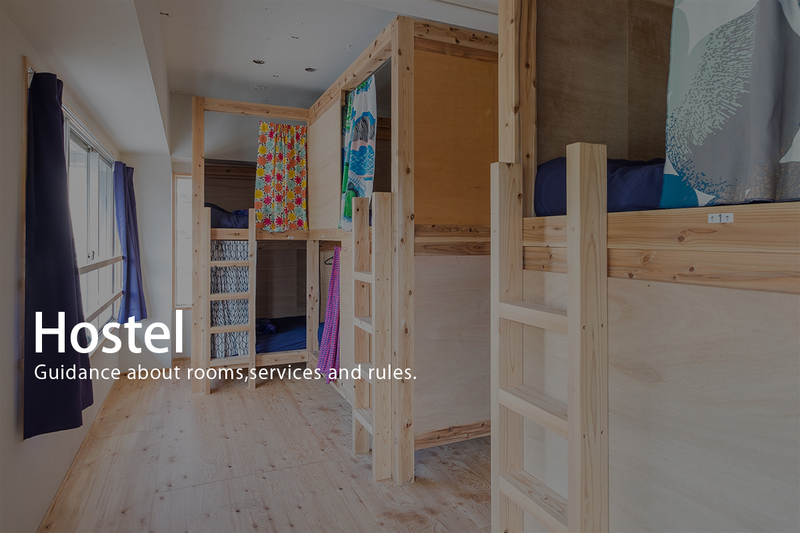 This is a hotel without meals, commonly referred to as a guesthouse or hostel. 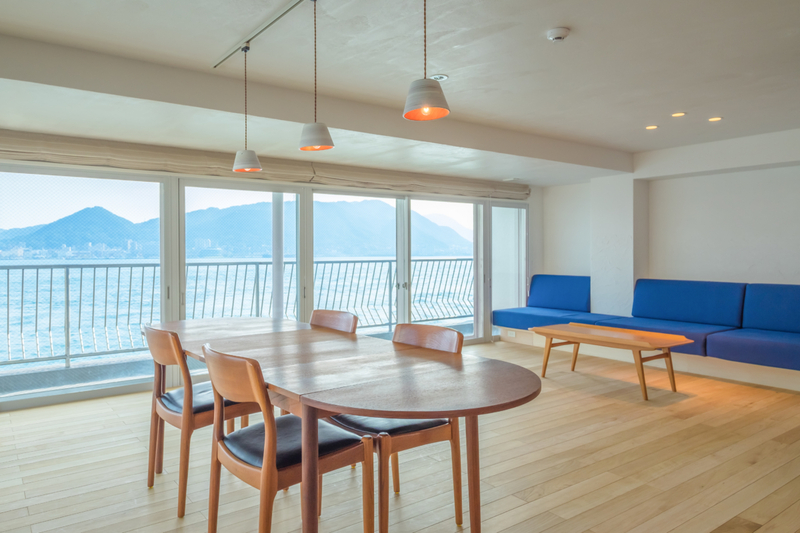 Unlike other accommodations such as hotels and ryokan, staff are friendly and can enjoy communication among guests. 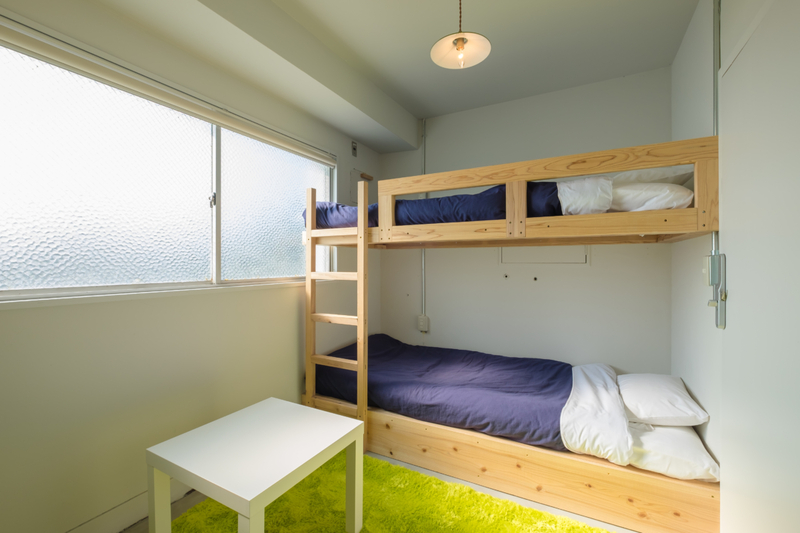 The most inexpensive dormitory (shared room) is from 2,700 yen for 1 nights. You can get in and out at any time after checking in, and you can check out at any time until 10 o’clock in the morning. 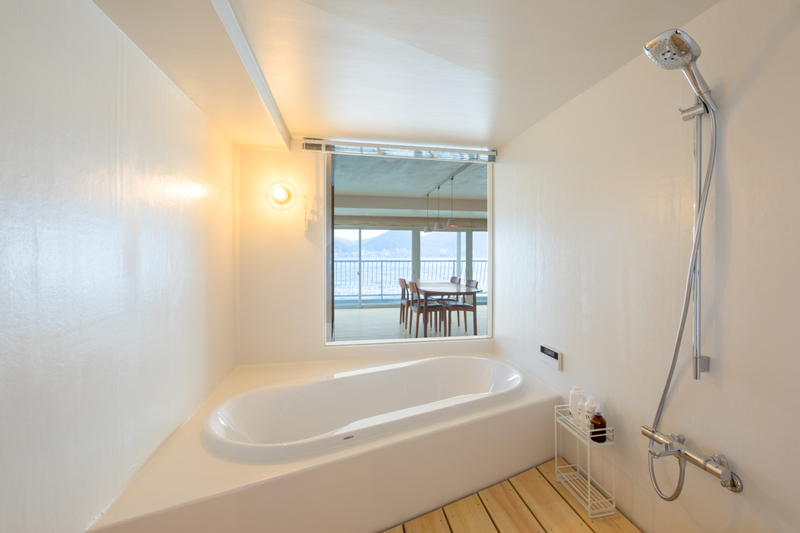 For men and women who want to stay alone or casually. For those who want to stay alone or stay casual. It is a room dedicated to women, so it is safe. 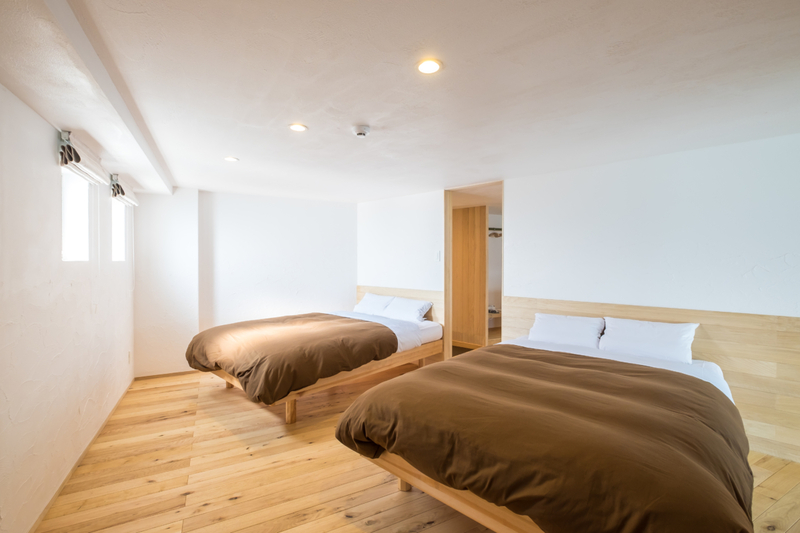 It is a 2 stage bed type private room where you can stay for 1 or 2 people, and it is perfect for the first time in guest house, couple trip, business use. From the window, you can see the Kanmon Strait. 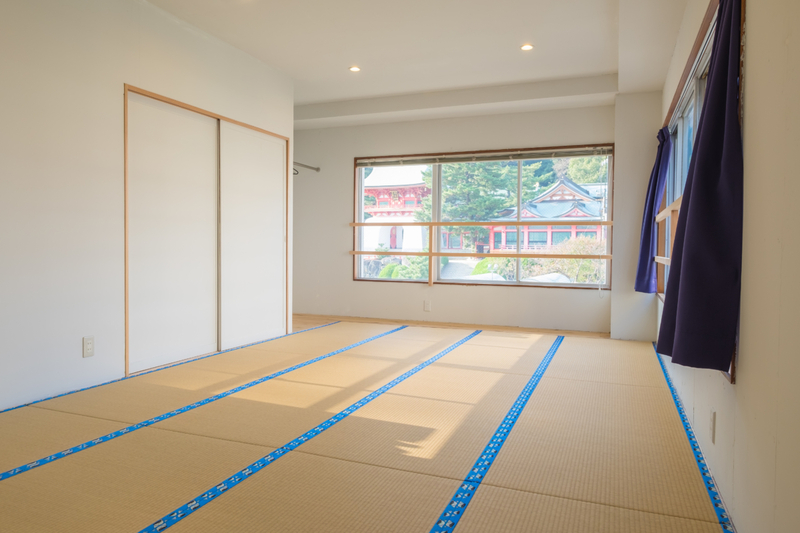 There are 14 tatami-mat where 5 people can stay at the same time. For group use such as families and girls’ travel! You can see Akakama Shrine shrine on the front and lit up at night, so it’s very mysterious. 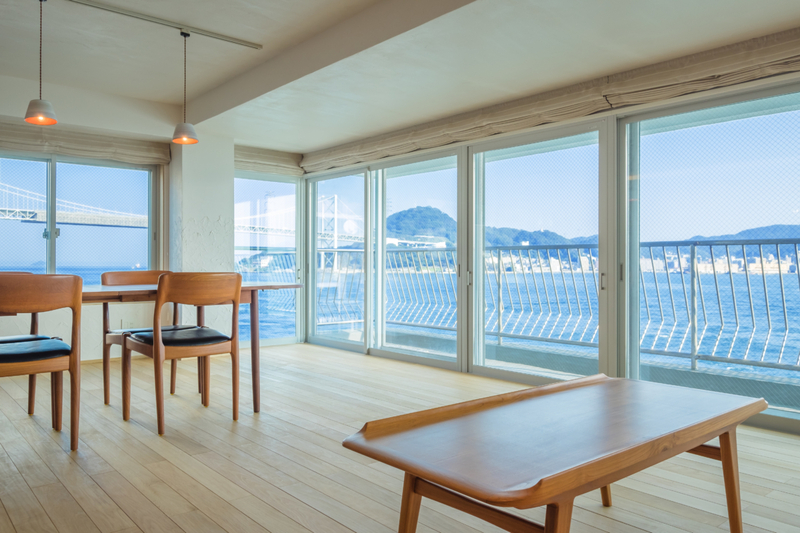 In addition to the view from the window, it is a special space where products in Yamaguchi prefecture are scattered. 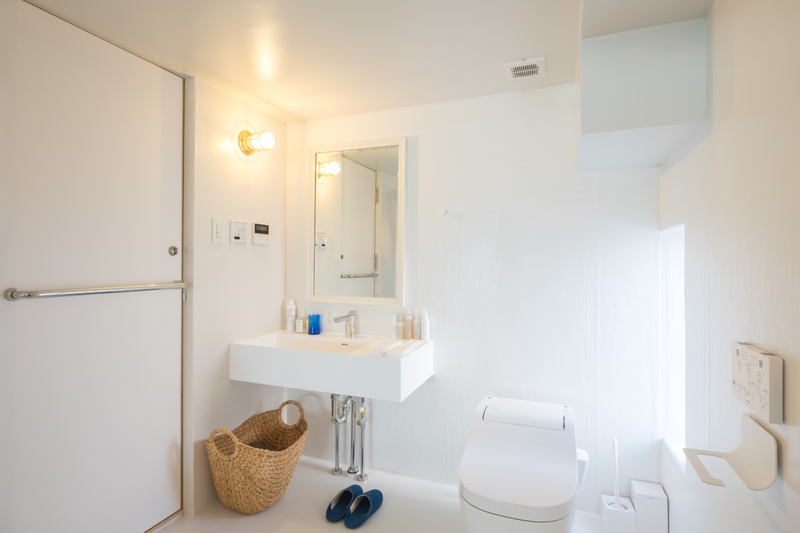 The bed and air conditioning equipment provide comfort. ※ You can check out at anytime until 10:00. 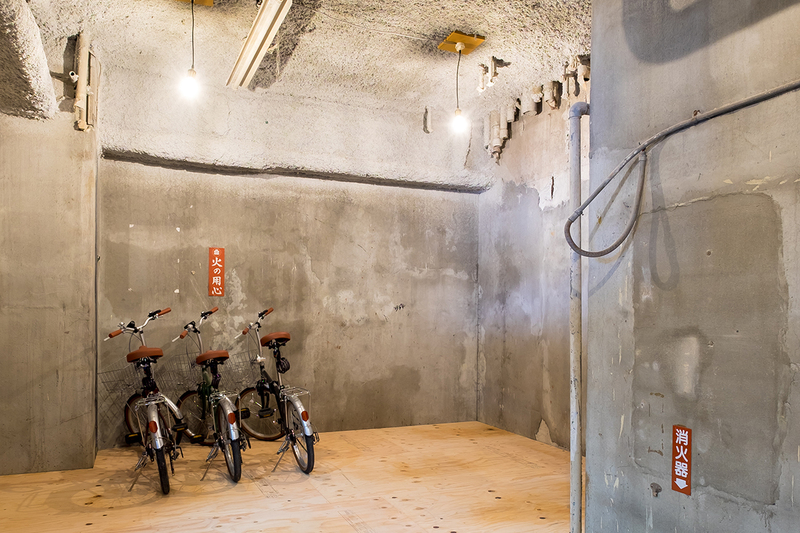 ※ After check in, you can freely enter and exit with a PIN lock, so there is no closing time. ※ We can keep your luggage before check-in and after check-out. · Please pay the total amount at cash (Japanese yen) or credit card settlement (VISA / MASTER / JCB / Diners / DISCOVER) at check in. · Please understand that cancellation fee will be charged depending on timing. · Reservation is possible up to 6 months ahead. 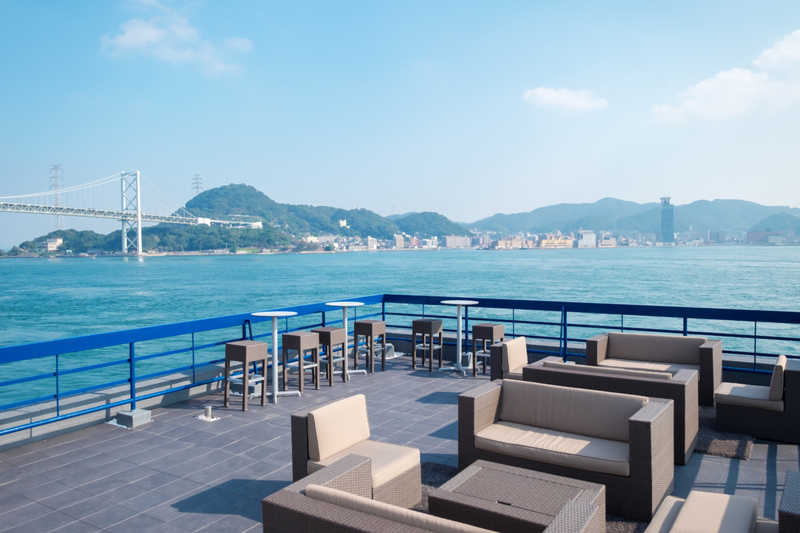 · If you wish to use the parking lot, please let us know when you make a reservation. 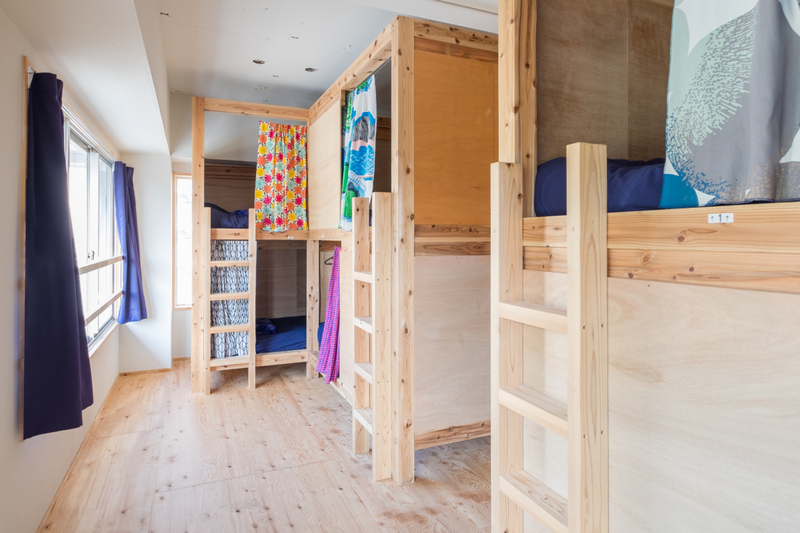 · Please note that you cannot specify the upper / lower bunk beds in the dormitory. · Because lights go out at 23 o’clock, please enjoy chatting or the like at the designated place after that. · Smoking is prohibited in all the buildings, so please smoke in the outdoor designated area. 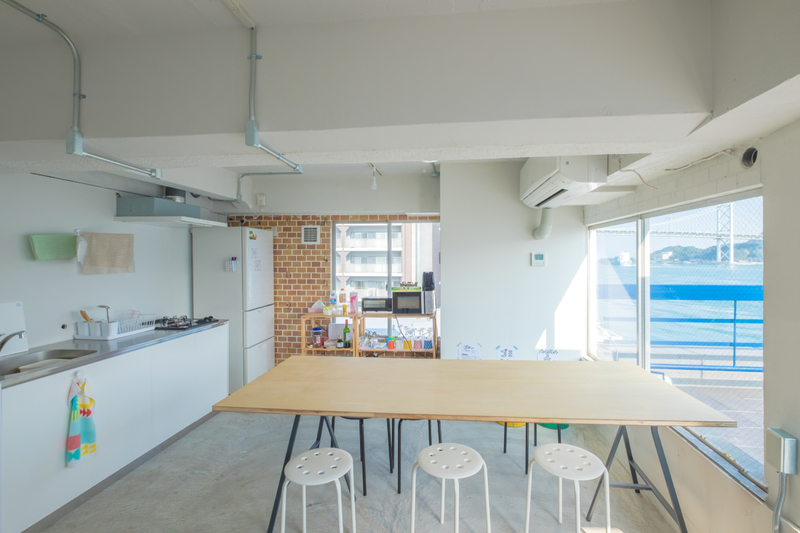 · Nearest convenience store is the Family Mart and it is about 10 minutes walk. 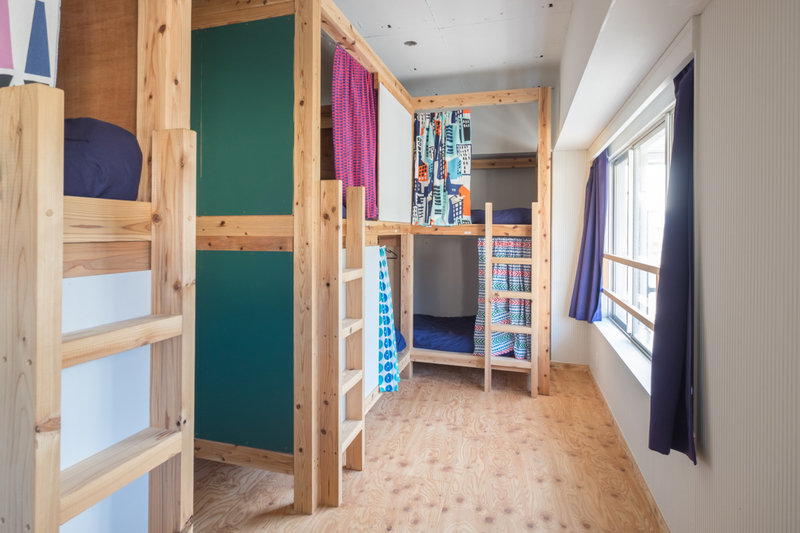 · Guests staying at the Dormitory are limited to junior high school students or older. 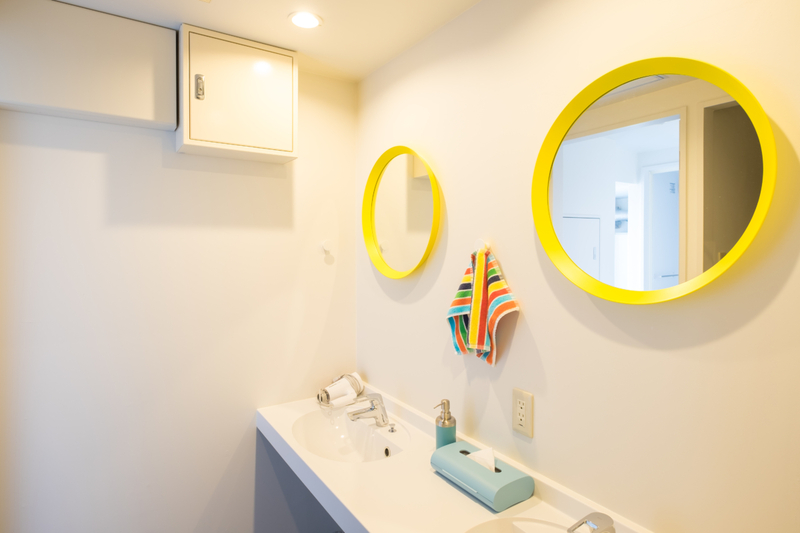 · Elementary school stdudents or younger can stay at Private rooms, but please be sure to accompany parents. · For those who is elementary school stdudent or younger is free of charge up to one person.